Can you Survive a Sudden Income Drop? In an increasing unpredictable world, employment security is becoming more of an issue for households trying to maintain their livelihood. A staggering 31 million Americans are on the unemployment rolls and even more have been wiped from the rolls because their unemployment benefits ran out. More than likely, millions who are still employed have had to deal a pay cut in some form or fashion. Job loss is one of those personal emergencies that can strike without warning. Those who have been affected by unemployed know all too well of the stress involved in this “personal economic collapse”. That said, steps can be taken beforehand to buffer and prepare your household for this unexpected and unwelcoming disaster. 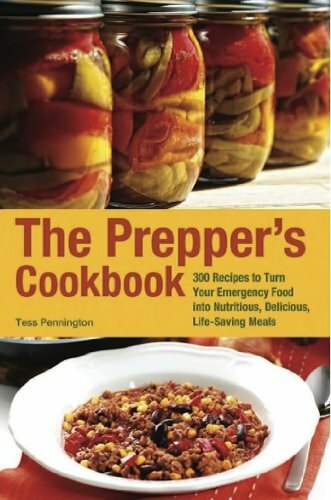 The Prepperu2019s Cook... Tess Pennington Best Price: $5.73 Buy New $10.40 (as of 07:55 EDT - Details) Similar to any type of disaster planning, your primary concerns for a personal SHTF event are to keep the basics in mind: food, utilities and shelter. As long as you have food on the table and a roof over your head, you can manage most issues that come your way. Before an employment crisis in imminent, you want to plan for it by saving money and accruing shelf stable foods. As a goal, plan for 1 month of food and money reserved for utility and rent/mortgage. Then, add more food and saved money to your unemployment stockpile. Your overall goal is to have a 6 month supply of food and money reserved for utility and rent/mortgage. Don’t forget about these unemployment tips! When job loss occurs, your finances will quickly dwindle and your budget may simply be too tight to take care of everything. Choices must be made as to what bills can be paid and which ones will need to be put off until the budget allows. If you decide to leave some bills unpaid for a while, make sure the unpaid bills are those of unsecured loans. Things that are less important are credit cards and non-essential monthly bills such as cable and cell phones. Although you may not want to go without these things, it’s better than becoming homeless. Remember the prepper saying, “Categorize your ‘nice to haves’ and your ‘need to haves’.” As well, be aware that skipping these payments will damage your credit rating, however, it’s better to have poor credit than to have hungry children. Prioritize by paying for food, utilities and shelter before anything else. From a preparedness perspective, food is something that can be purchased in advance of such an event. Building your food stockpile has a layered effect on your preparedness endeavors and can be used when unexpected emergencies occurs. If you have a decent stockpile of foods, not only can you be confident in your ability to feed your family during difficult times, but the fact that you don’t need to purchase groceries can allow you to funnel your limited money towards your other two concerns, which are keeping a roof over your head and keeping the utilities paid (which keeps lights on and the water running). When choosing food with which to build your pantry, you will want to focus on items that can serve multiple purposes. For example, dry milk can be used to make a calcium rich beverage, in baked goods and as a coffee whitener. Wheatberries are more valuable than flour because not only can they be ground to make flour, but they can be cooked and served as a hot cereal or in a pilaf, or they can be sprouted to provide fresh greens when vegetables are scarce. Purchasing items in bulk and on sale will help you to build your food storage pantry quickly. Store what you eat, and eat what you store, rotating items in to be sure and consume them before their expiration dates. Are You on the Federal List?